Today’s featured blogger on my Meet The Blogger series if the fabulous Mariah from Australia. Her blog boasts a real variety of posts so there is sure to be something that takes your fancy. I hope you enjoy reading about her blog and finding out more about the lady behind the screen too. Be sure to check out her blog and social media sites too! My name is Mariah, I am 27 from Melbourne, Australia. My blog is a little bit of everything to be honest I don’t try and just post to one niche i.e beauty etc I try and do all kinds of different types of posts because I like to mix it up for myself and my readers. I am not just into one thing so why should my posts just be based on one topic. My favourite thing would be the freedom to write about whatever I want and when I want to as well. You’re your own boss which I quite like. It is hard sometimes to stay motivated & it’s something that I do struggle with but I try to always set aside time each week to work on my blog & I just put on some music and just work away so I don’t get distracted. I also find being apart of blogger support pods also helps to keep me motivated. I think at the start I underestimated what it takes and the time it takes to do blog posts & to be a blogger. Its not just the actual writing post part but you then also have to promote your posts on various social media which all takes time. As I work full time I really want to work hard this year to keep the balance between work/private & blogging life so I can keep up to date with all as I find that very challenging. 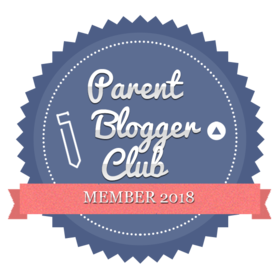 I do hope that one day my blog can be what I do full time when I have kids & that I can continue to grow my followers and readers. I hope that my blog can a be a place that people can go to, to escape or get advice from. I’d like to say a massive thank you to Mariah for taking part. Check out next week’s post as I welcome another fabulous blogger. Lovely post! I agree with Mariah! No one told me blogging would be so time-consuming! I know right! It takes over your life but in a great way!